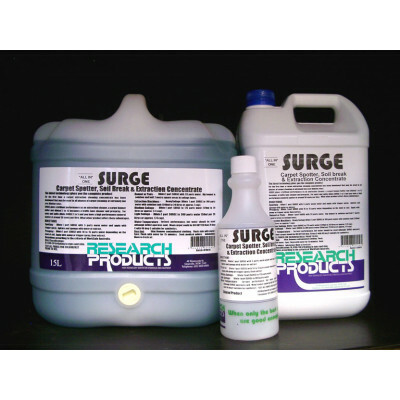 RESEARCH SURGE CARPET PRESPRAY 5 LITRES All in one - carpet spotter, pre-spray and extraction concentrate. For those still wishing to apply in tank, this is the product for you. May be presprayed as well. Ideal for acrylic and nylons. 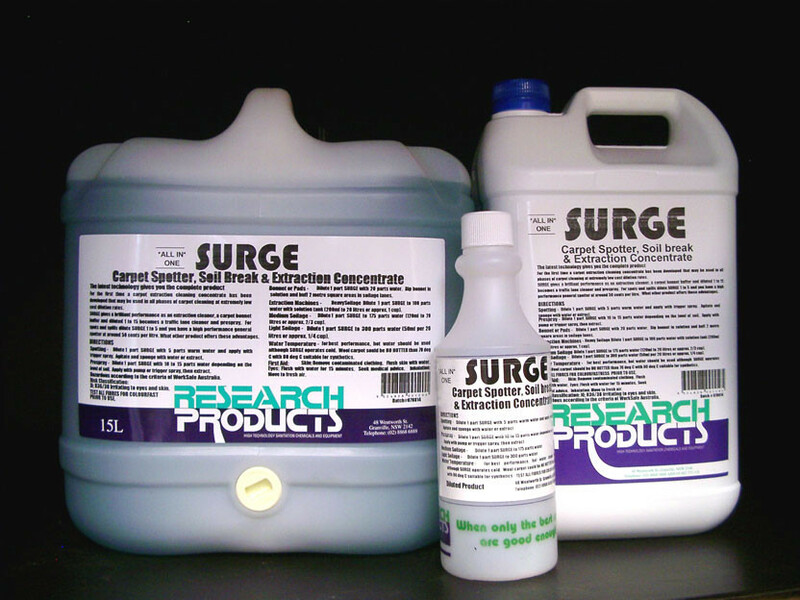 Use with an acid rinse to meet Australian standards.